Soviet soldiers with captured German 150-mm “Nebelwerfer 41” multiple-launch rocket system. Nebelwerfer is a German towed jet mortar of the Second World War. 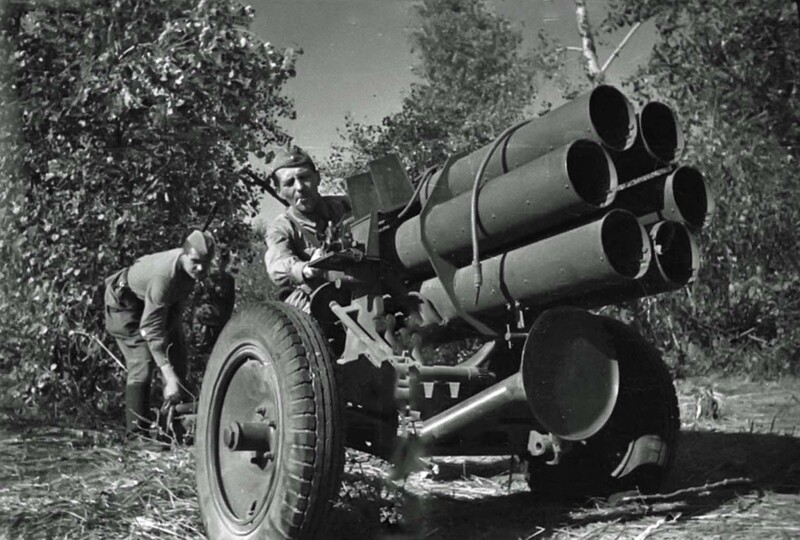 Like the Soviet “Katyusha” Nebelwerfer was the first multiple-launch rocket system, which were used massively.